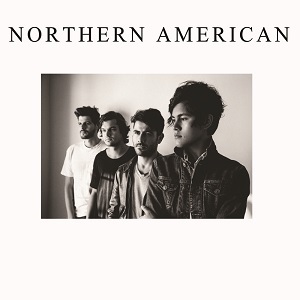 Northern American are a Los Angeles band who released their debut EP (Happiness Hungover) in 2013. Now they're back with their debut album. Listening to it, it's no wonder they've been getting airplay from BBC 6 music and have been playing this years SXSW. It sits somewhere between pop and Indie rock and has a great laid back feel to it. The vocals are smooth and the music really does have that great quality of being nice and laid back while still retaining more than enough to keep the listener's interest. It's one of those albums that you can listen to again and again and never get bored of. The first track to be released from the album is "Elysian" - check it out below. A great album that I have no hesitation in recommending.